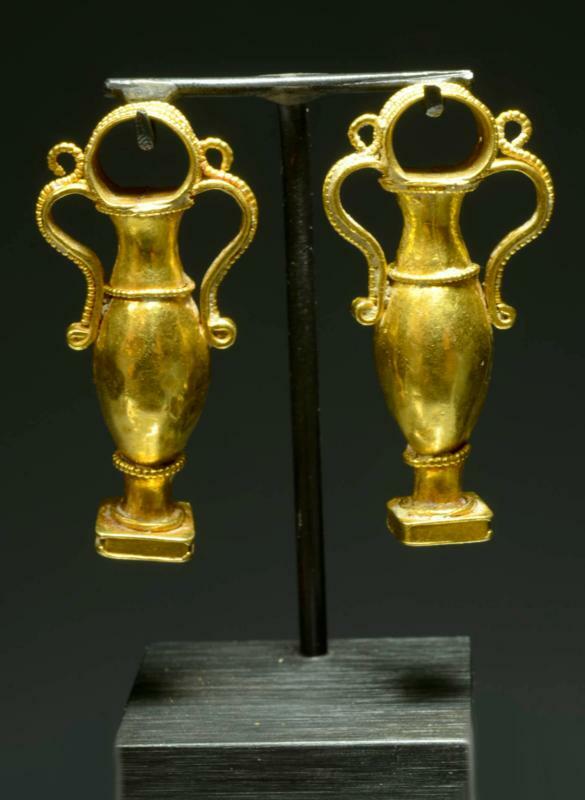 Pair of gold pendant earrings, each in shape of an amphora with bracket handle, loop atop on a square base. Some decorative beading work on perimeter. Weight 9.47gms. Size: 1-3/8 inches (3.6cm.) + custom mount.